Air Malta have made it into the Style of the Aisles Top Ten Cabin Crew Uniforms 2015. The list compiles the most glamorous and stylish uniforms found in the skies this year. Cabin crew uniforms are an important part of any airline allowing the crew to stand out, to be instantly recognisable and looking good. 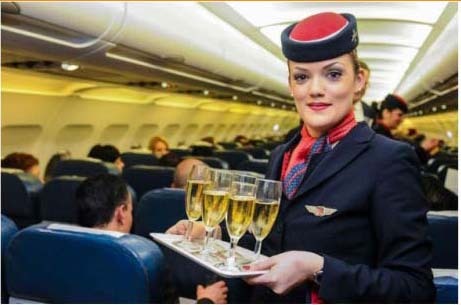 Congratulations to Air Malta as this is a competitive area of travel, even low cost carriers are producing designer influenced and styled outfits trying to 'bring back the glamour'. As well as looking good the cabin crew must also feel good wearing the uniform as well as being practicle and comfortable at the same time. New branding from Air Malta came into place in 2012 - 'Flying the Pride of Malta'. The new unifrms were designed incorporating the colours, cultures, symbols, language and hospitality mirroring all the great attributes of the wonderful Maltese islands and the new pieces have gone down well.